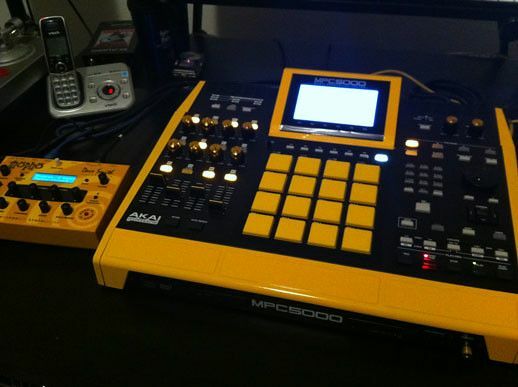 Re: SO YOU WANT TO UPGRADE YOUR MPC 5000? Mistamixx wrote: Where can you get wood panels for the 5000??? moyphee wrote: MPC Stuff has them. I did find a wood craftsman that will custom make me some (like the ones in the pic below) for $400. I havent done it yet though. I'm hoping to find some for cheaper or at least a cheaper wood craftsman. The pic below was posted by someone who was selling their custom 5000 months back. You can find some wood crafts men to do it for you as I said i'd found some cat that does wood craft work and he would do it for $400 but damn $400? I bought a mopho for $350. PSR That looks real nice in yellow - good job dude!!! Last edited by NorthernElite on Fri Aug 05, 2011 6:43 pm, edited 1 time in total. NorthernElite wrote: PSR That looks real nice in yellow - good job dude!!! Thanks Man. Its my first customize. I could have done a better job on the paint (mostly texture smoothness). I may end up wetsanding and repainting at some point. Do you know if anyone has figured out what that other expansion bay can do? What if we can upgrade the ram past 192mb? Please tell me someone has experimented with this. ZeroArmada wrote: Do you know if anyone has figured out what that other expansion bay can do? What if we can upgrade the ram past 192mb? Please tell me someone has experimented with this. Only Xparis can tell you. I have a memory expansion on it right now. Hopefully they can activate it in the near future. tbh I don;t think it would solve the stability/streaming from disk problems. Did anyone else have issues with the reassembly of the machine? I am trying to put it back together and the data wheel won't turn when I put the top case on. I don't know if it got bent when I took it off or what happened. I am really frustrated with trying to do this! look at the bottom part inside the jog wheel... you'll notice there are some indentations... those indentations need to line up perfectly when you put the jog wheel back on in order for it to lay flat and function properly... you can't just put it back on top of the rotary encoder in any position. Thanks. I have noticed that and tried a few ways with no luck yet...that has got to be the issue though...I shall keep trying! Basically i just got a used MPC 5000. Im reinstalling the OS because i was getting Bad dot dot directory message when trying to load samples i already played on the mpc before. 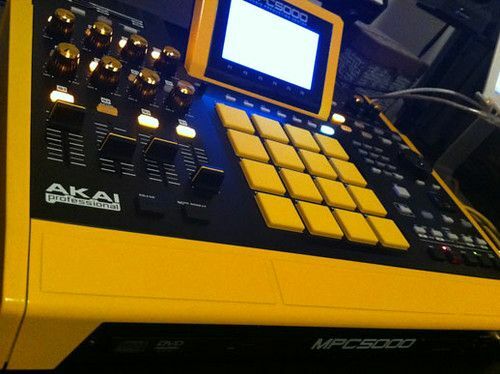 Now my question is if i lose all the akai pre installed samples n stuff that are on the flash memory. Not that i love em, but i did use a few little sounds for some projects. Just joined this page to get an answer to this. currently under a bit of time stress, so would really appreciate some help! I am having a huge problem removing that palm rest - it's stuck! I HAVE removed the screws - but the physical power I am imposing on the panel makes me feel as as I am this far >< from cracking it. What is the "gentle persuation" needed (the trick) to remove the panel?? This is frustrating me BIG time - so BIG thanks in advance for any help! I have googled and youtubed - to no avail. Two of the best videos (?) are just jumping over on how to remove the panel...like "Look - it's really easy!". 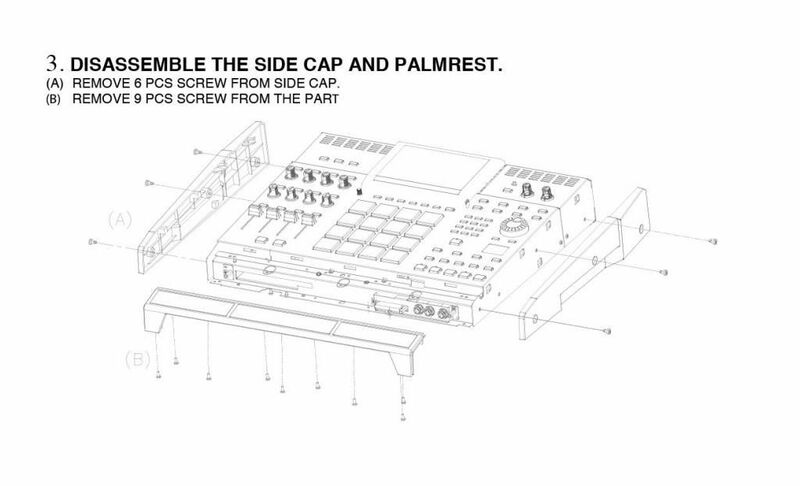 How many screws have you removed from the palmrest? 5 along the front edge of the palmrest, behind the front DVD/CF/headphone panel, and 4 from inside the MPC5000 chassis, underneath the palmrest? Thanks Simon - that did it - the previous videos I had been watching didn't make me aware of the four screws that had to be removed from inside. All the pads are now working again.